We are a leading outsourcing company providing dedicated remote staff and offshore staffing services. 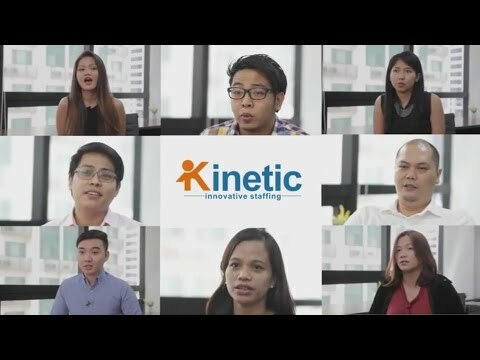 We connect you with a large pool of highly skilled English-speaking employees in the Philippines. We partner with you throughout recruitment, appointment, training and beyond. The first step involves you briefing us on the criteria you are looking for and providing us with a job description. The process of selecting an offshore employee is in fact very similar to that of hiring employees domestically. At Kinetic we take the time to listen carefully to your specific requirements so that we can ensure the most appropriate candidates are included on your shortlist. You can be as involved as you like in the process, or we can take care of it for you. It’s completely up to you! We provide you with a shortlist of candidates. We search for the most qualified candidates and conduct initial testing of mandatory skills and attributes. We provide you with a shortlist including the most appropriate candidates for the role. We coordinate and schedule Skype interviews between you and the shortlisted candidates. After the interview process is completed, you select your preferred candidate. We negotiate and finalise the remuneration and terms with the candidate and prepare and complete the paperwork required for employment. Your dedicated staff report to you daily and we help you manage them. Our team helps you with any of your needs to help make your Philippines based staff a success. We assist with managing any HR issues that may arise from time to time. We assist with the provision of any specific hardware/software for your team. 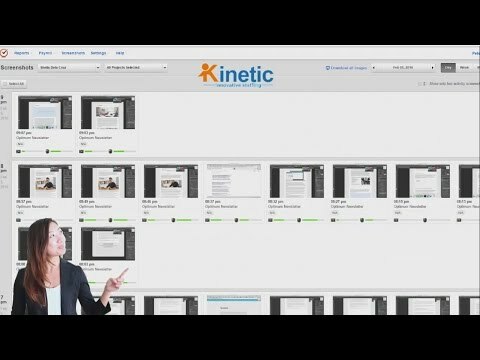 We provide you with tools to enable you to view your team’s computer screen at any time and also provide a record of historical screenshots (taken every 6 minutes). Before working with Kinetic, I was concerned about possible language barriers and managing staff in a remote location, but I needn’t have worried. The team have excellent English skills and the communication is just like they are sitting next to me.